That title is not out of a fiction novel. It could happen right here in our time. A few weeks ago, both the Obama Administration and the US House made major moves to begin limiting the outlandish awards being handed out by some juries in medical malpractice cases. This area has long been a trial lawyersâ€™ playground and each of us is paying the price. We may be making the right kind of progress now. The President included $250 million  in his budget so that the Department of Justice could work with states to rewrite their medical malpractice laws and see real, effective change on this issue. The proposal provides some specific areas of relief by using judges with expertise in this area to decide cases instead of allowing juries to dole out unreasonable awards. Additional proposals might include creating reliable standards for doctors to operate under that would allow them to prove they were not negligent and a shift from full liability of every entity involved, to proportional liability amongst all parties (hospitals, doctors, insurance companies, etc.). 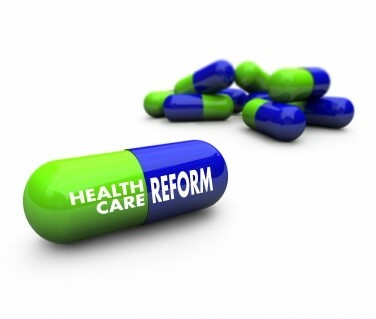 Help Efficient, Accessible, Low Cost, Timely Healthcare (HEALTH) Act of 2011 – Sets conditions for lawsuits arising from health care liability claims regarding health care goods or services or any medical product affecting interstate commerce. Limits noneconomic damages to $250,000. Makes each party liable only for the amount of damages directly proportional to such party’s percentage of responsibility. Allows the introduction of collateral source benefits and the amount paid to secure such benefits as evidence. Prohibits a provider of such benefits from recovering any amount from an award in a health care lawsuit involving injury or wrongful death. Authorizes the award of punitive damages only where: (1) it is proven by clear and convincing evidence that a person acted with malicious intent to injure the claimant or deliberately failed to avoid unnecessary injury the claimant was substantially certain to suffer; and (2) compensatory damages are awarded. Limits punitive damages to the greater of two times the amount of economic damages or $250,000. Denies punitive damages in the case of products approved, cleared, or licensed by the Food and Drug Administration (FDA), or otherwise considered in compliance with FDA standards. Provides for periodic payments of future damages. The movement on both sides should be seen as a win for health care consumers. Runaway litigation  has led to massive increases in unnecessary medical procedures and huge run ups in doctorsâ€™ insurance premiums, and will continue to spin out of control. All of those expenses are passed on to the premium payer and the taxpayer, in other words, you and me. 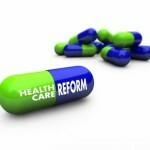 Now is the time to enact real medical liability reform.